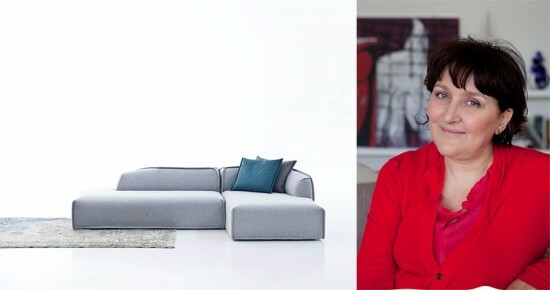 Patrizia Moroso, art director at Moroso, recently chatted with AN about her impressions of ICFF, working with Patricia Urquiola, and the design house’s plans for New York Design Week. What are your impressions of ICFF? It is something very important for the U.S. and for New York. For me, around the fair and outside the pavilions, there’s a lot organized in town. The fair is growing. For example, Milan [Furniture Fair] has become so important these years. In Milano, we have something like 3,000 events around design week but this means that people are excited. Now, New York is becoming something like this. You have so much happening around it. The interest and the dialogue between the institutions and the companies and firms can carry on in and around the fair. What is Moroso doing for ICFF? It takes place one month after Milano, so we usually present a few of those releases, [since] that is the big show for us. It’s natural to present what we’ve done in Milano but with another special twist. This year we’re transforming the space for Patricia [Urquiola] and in the window [overlooking Greene Street] we’re showing the things we’ve done for Patricia and Kvadrat. We were talking months before the fair so we decided to do something together. Fabric is great for upholstery and we have an installation that was amazing for me. We won an important award in Milano and are happy to say we were the winners this year, so we can show just a glimpse of that here in New York. Because the installation was so big—it took 10 days to install in the [Milan] space—it was not easy to reproduce. Some [challenges were] material, some immaterial. But the exhibition we had [there] was not possible to reproduce here. How did you start working with Patricia Urquiola? About 14 years ago, she was just starting in the design profession. She was managing projects in another big studio in Milano but her name wasn’t attached [to her work], as it happens a lot with young designers. A common friend called me to tell me about her; “She’s a young designer who’s ready to tell her own story. I think you’ll be perfect match.” I saw her work and energy, and we started working together [pretty much] right away. We are good friends and work together a lot. We are sharing many things, even outside of our profession. Our lives are very intertwined. Is there anything special about showing in New York? The mood here is very happy and bright. It’s spring here, [so with the] flowers [in the window] we’re trying to recreate that feeling. We painted the showroom in all bright colors, just like space in Milano and we are carrying a mood that we started in Italy. What you see in the window are prototypes that we are presenting but are not yet in production. These are really new things. For example, we are showing our new sofa system, MASSAS, an acronym for Moroso Asymmetric Sofa System Adorably Stitched. Its massive and delicate at once: it’s not a common piece of furniture. The other things we will present is our new fabric collection in new colors. Everything is coordinated with the new colors and flowers because the collection is happy. It’s not feminine but the approach is very sweet. We want to be optimistic and joyful. For us, it’s a new style. What is your favorite thing about coming to New York? The energy, the air—it sparkles! You can come on a rainy day but the morning after everything twinkles. There’s something about it. You walk the streets and you’re happy. The air in your face is sweet; maybe it’s the ocean? The light? It’s the atmosphere. If you sit at a cafe and see the people walking, you can see the planet in an hour. You see all the nations here. That, for me, is incredible. When you put all the different people together you have a fantastic melting pot here in the city. It’s the power of humanity. I really hope to work more in a country like this, that I love so much. The possibilities here are grand. I really like the thinking here. I meet a lot of architects and designers and everyone is so special. Things are moving fast, projects are growing, it’s all very interesting. There’s lots of energy in terms of thinking, too. It’s all very positive and fast paced.